Let God be the God of justice. The slow roll of prison cell doors culminates in an abrupt, bone-rattling slam just like in the movies – only worse; these bones are hers, and the sound echoes to her core. 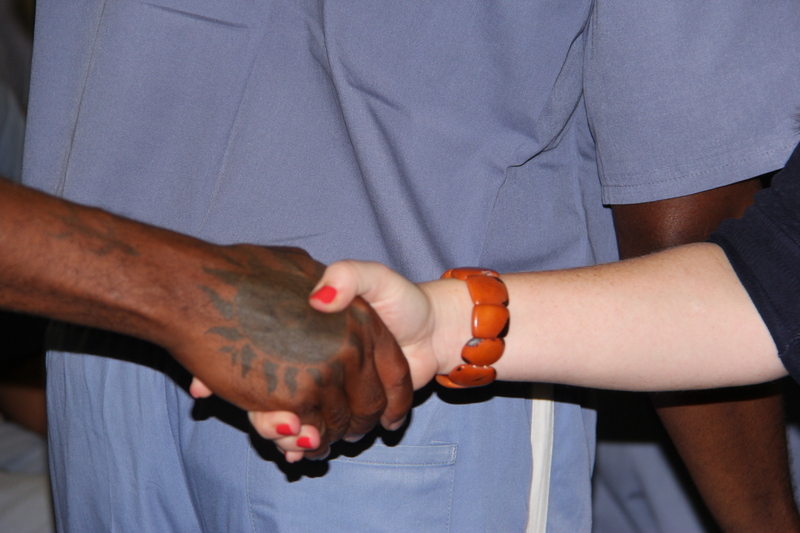 My friend Alice is taking part in a prison ministry. She’s not just out of her comfort zone, she’s light years from it. She can’t go back now. She’ll tour eight prisons in five days. She’s surrounded by razor wire fencing, armed guards and men with face, neck and arm tattoos; rapists, murderers and pedophiles—the worst of the worst. An introvert by nature, she’d rather be anywhere else. Alice sits alone. All she had seen swirls around her head challenging all she had previously believed. The men’s faces have left indelible marks. She closes her eyes and sees each one—how they reached out for God, how they wept in front of one another without shame…the way they managed to escape for a couple of hours. Their redemption, entirely within reach. There is a greater story at work here–one that says we’re all guilty of something and the discarded can be reclaimed; including you and me.